20 years ago, I began having dreams in which a voice came to me saying “Come with me, I have something I want to show you”. The first time I went to a place where spirits were kind of waiting; the second time I decided not to go. Then the third time came and I went. This time was different from the first and the second. The voice seems closer, stronger, powerful, yet gentle and loving. Finally, I realize what it means to stand in my power. Being without it allowed me to realize that I have it. I have…You have power that has nothing to do with the power that someone else has. It has everything to do with positioning and maintaining a position that renders you powerful in your own right. Most important is that no one can take that away from you. You have to give it away. How? Plainly put, you give away your power when your decide or act out of weakness or ignorance. Standing in your power means to think, act and speak decisively, wisely and with conviction. Power is concentrated mental, spiritual and physical energy that is sound and properly placed. Standing in your rightful place, in your right frame of mind, doing the right things is POWERFUL. Never be moved by the whims of others. Never allow yourself to be tossed to and fro like leaves that have dropped to the ground with no place to go, no root, no foundation…No Power. 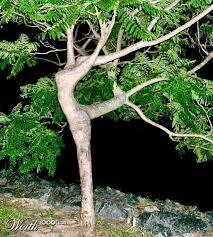 Be more like the tree that stands still, rooted and grounded in its power. Finding yourself can be like finding a needle in a haystack. But, the one thing that you have going for you is that you are one-in-a-million. There is no one else like you! 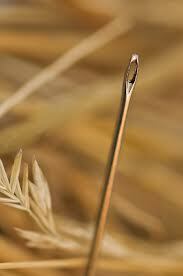 Finding the one needle in the haystack sounds impossible, right? While not impossible, yes it is a challenge. Sorting through all that hay! Buried under distractions of many guises, you are barely recognizable, suffocating. Check your pulse! Unhappy and unfulfilled, you can’t quite put your finger on what is missing. Why the dull, unmotivated feeling? There is a constant feeling of frustration simmering just beneath your surface. Uneasy. Insecure. Powerless. A constant cloud of uncertainty hovers overhead smothering your light and draining your energy. Unfulfilled in your work and relationships because you have gone astray. Life is monotonous and mediocre. Real Talk…This is depression!